Before you can even choose the best conduit type for a job, it’s important that you lay out the conduit system in a drawing. This will immensely help with the design. 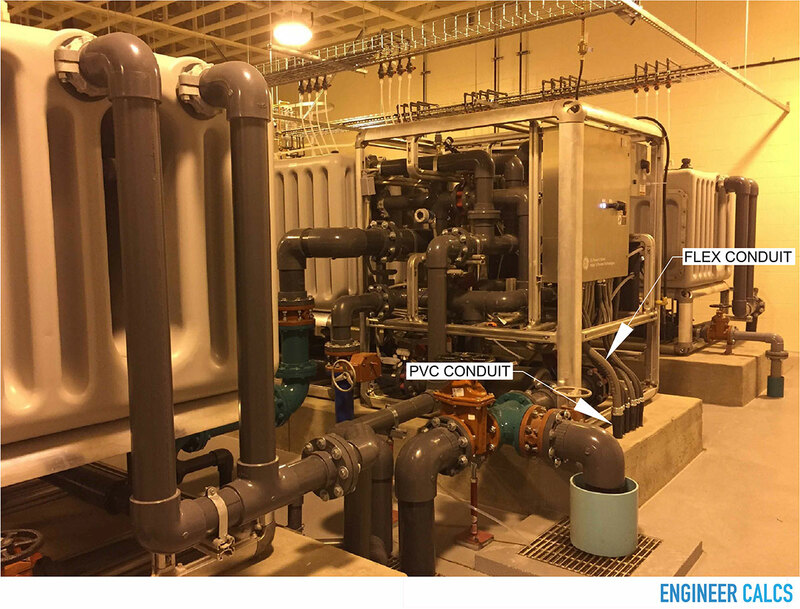 The benefits include designing straight conduit runs, while limiting the total number of bends to 360 degrees, and avoiding existing conduits, piping, and/or boxes that may be existing, which are hidden underground in your design area. Note: for underground conduit runs, it’s very important that you have access to existing plan drawings of your design and construction area in order to avoid damage to existing infrastructure, as well as for safety. After you properly plan and complete your conduit layout design drawing, you must choose the best fitting electric conduit for your specific job. The right conduit choice will ensure your installation is simple and successful, problems avoided, and future repairs remain straightforward. We will now go over each of these three conduit types in order to find out how to best choose the right conduit for your job. Where to use? EMT is great to use in indoor areas, where aesthetics is not a primary concern. Imagine a warehouse, storage shed, unfinished basement, garage, or any other undecorated area. #1 Sizing calculation – size your conduit from the number of wires you pull through the conduit, per NEC (National Electrical Code) requirements. Use our conduit sizing tool, which is based on the NEC, to help you size your conduits. #2 Size larger – using a conduit larger than required to pull your wires through, not only is acceptable, but it will make your installation work much easier. If you have a couple of 90 degree bends in your conduit run, and you need to pull a delicate cable through, then it would be a wise idea to upsize your conduit. #3 Pre-bent and fittings – in routing your conduit, you will cut, couple, and bend your conduit. 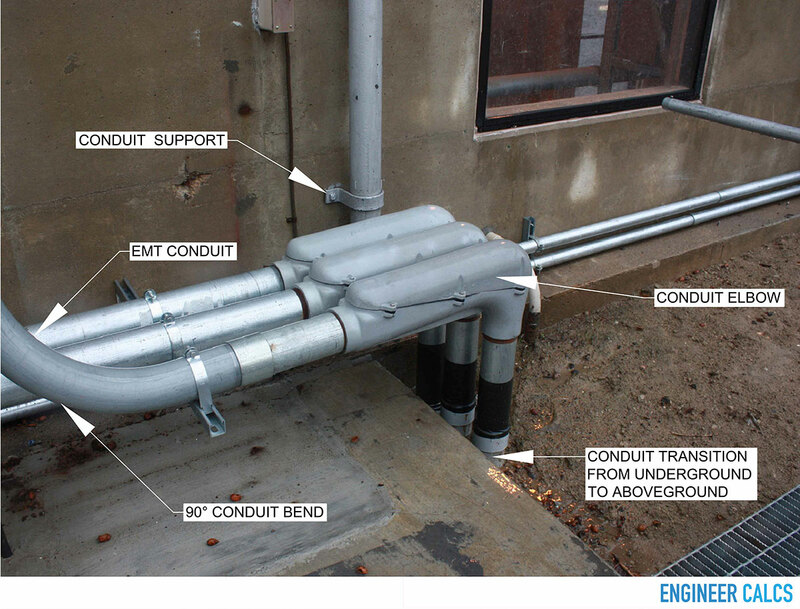 EMT can be bent using a conduit bender, however, using pre-bent conduit and fittings will drastically simplify your work. Find parts to complete your conduit run like a puzzle, with the least amount of self-bending as possible in order to avoid possibly damaging the conduit. #4 Cutting and reaming – EMT can be cut using a hacksaw. However, after cutting, be sure that you “ream”, or smooth, the edges with a metal file. This is very important, as the sharp ragged edges of the conduit can tare and damage the conductors that are being pulled through. 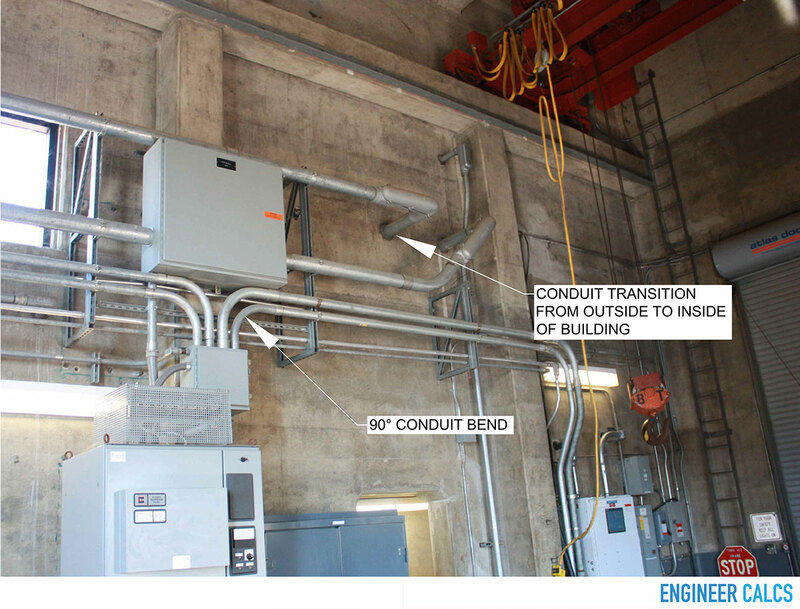 #5 Bends – when a single conduit run includes more than 360 degrees in bends, then install a pull box to more easily and successfully pull the wires through. It is also important to know that the NEC does not allow you to have more than 360 degrees in total turns in a single conduit run (NEC Article 358.26). #6 Strap support – use straps to anchor EMT 3 feet from every box or fitting, and every 10 feet in all other places in the conduit run per NEC requirements (NEC Article 358.30). #7 Connectors – if your conduit is not long enough, join conduits together using thread less setscrew couplings. The end pieces of conduits go inside either end of the couplings and then are tightened with setscrews. Where to use? Flexible conduit is great to use when you’re limited in space and bending EMT is too difficult. As well, using flex for large equipment and appliances that need to be moved around for repair is always an excellent choice. #1 Cutting – flexible conduit can be cut with a hacksaw similar to EMT. If you use connectors and couplings that screw in, you will not need to smooth the ends of the flexible conduit after cutting. #2 Bend – flexible conduit is certainly flexible as the name implies, but it should not bend more than a total of 360 degrees. Similar to EMT, having no more than 360 degrees in turns in one run is a NEC requirement (NEC Article 358.26). #3 Strap support – support flexible conduit 1 foot from a pull box and every 4.5 feet apart in the conduit run per NEC requirements (NEC Article 348.30). Where to use? The conduit you see used most often is Schedule 40 PVC. 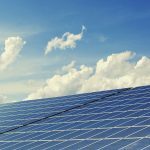 PVC is great to use in most every application, as it is resistant to heat, fire, and sunlight. What is even greater about PVC is that it is light weight, yet, it is still very strong and durable; as well as inexpensive. The tips we will go over for PVC are similar to EMT that we covered above; only some slight differences. #1 Cutting and reaming – similar to EMT, you can cut PVC with a hacksaw, however, afterwards the sharp and rough edges will need to be reamed in order to prevent conductor damage. #2 Easy to install – PVC can be cut, shaped, welded, and joined together easily using couplings. Also, PVC is bent best using an infrared heater. However, similar to EMT, it is best to avoid self-bending, in order not to ruin the very material that makes this conduit so amazing. 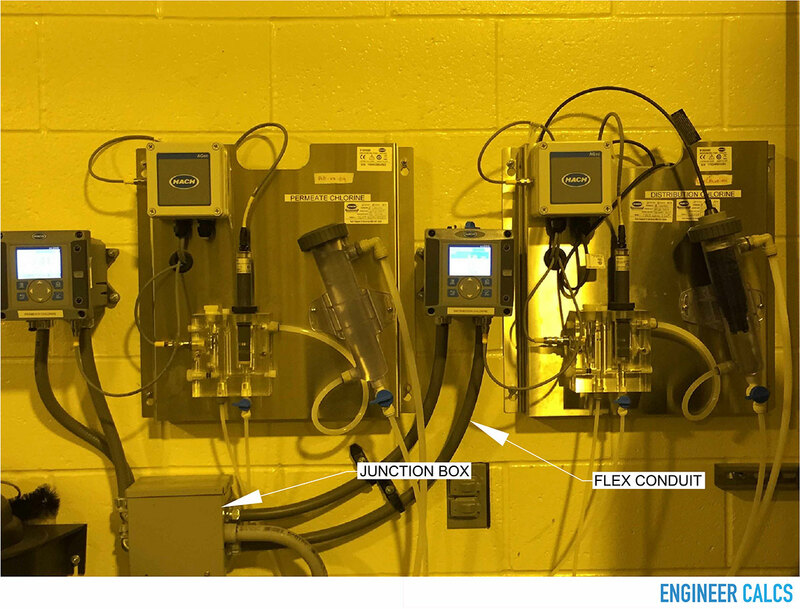 #3 Bends – like the other two conduits that we discussed, when a single conduit run includes more than 360 degrees in total bends, then it is best to install a pull box to more easily and successfully pull the wires through per NEC requirements (NEC Article 358.26). #4 Strap support – PVC has much closer support spacing requirements than EMT. Support PVC conduit runs 3 feet from each box or fitting and 6 feet along the run for PVC 3 inches in size. Use NEC Article 352.30 to find support distances for the other PVC conduit sizes. 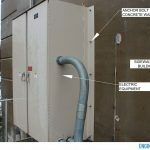 PVC conduit can easily be run through and supported through walls as well, to ensure the optimal installation can be made. Installing conduits can be an arduous and time draining task, but with proper planning, through creating a conduit layout drawing, selecting the appropriate conduit type and following our installation tips, installation will become much simpler. And always remember to review and use the latest National Electric Code to ensure your installation is code compliant and your work is safe.